On the 20th anniversary of the breach of the tailings pond at the Los Frailes mine in Spain, environmental organizations held a press conference to alert the public about the possibility of a similar accident taking place. Greenpeace, WWF, SEO/BirdLife, Ecologists in Action, and Friends of the Earth accused the Andalucía council of relaxing administrative and legal requirements to ease the way for mining companies’ plans. In their view, the regional government granted Minera Los Frailes, owned by Grupo México and Grupo Magtel's Minorbis, a permit to reopen the multi-mineral mine without even going through the required public competition process. The activists also say that the concession was granted without a proper Environmental Assessment Process and without the Unified Environmental Authorization, as required by law. Greenpeace and its partner organizations explained that they are worried because the reopening of the mine and the process of transforming it into an underground operation would require the emptying of an abandoned facility that still holds 14 million cubic metres of acid waters. The polluted liquid would have to go directly to the Ecological Corridor of Guadiamar, a space that is protected by the 2000 Natura Network. “In other words, there is a chance that a riverbed whose restoration has called for enormous amounts of public funds, gets polluted again," the campaigners said. 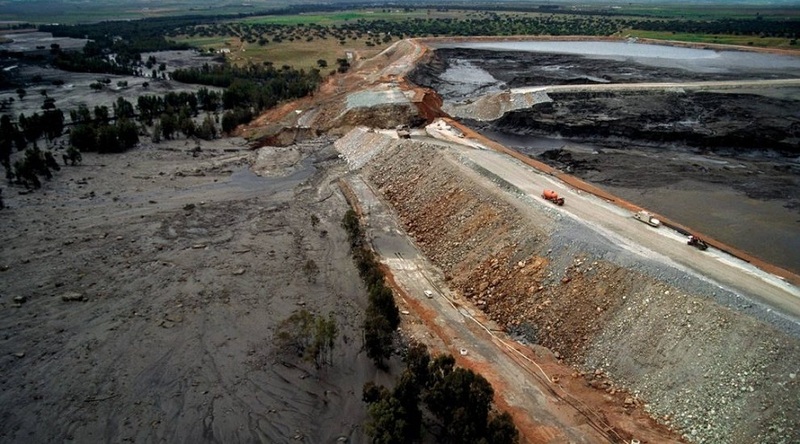 On April 25, 1998, some 7 million cubic metres of effluent from Boliden AB’s Los Frailes mine near Aznalcóllar, in the province of Seville, flooded the Guadiamar river following the failure of a toxic waste reservoir. The accident is considered one of the worst environmental disasters in the European country.